For years now my husband has known one thing for sure about me, the only way I’d ever leave him is if Peyton knocked on my door. Yep, I realize I am married to the most amazing man in the world and let’s be honest, the chances of Peyton knocking on my door is non-existent but a girl can still dream. It’s funny because I have loved Peyton since even before I first saw him on Saturday Night Live in 2007 but people, that show solidified the love. Oh it’s one thing to be an amazing athlete with dashing good looks but when you add funny to the mix… I’m sold!! It’s even to the point that my boys know, and are ok with, my love for someone other than their dad (yeah, they’re bright guys… they know the odds are ever in their dad’s favor!) 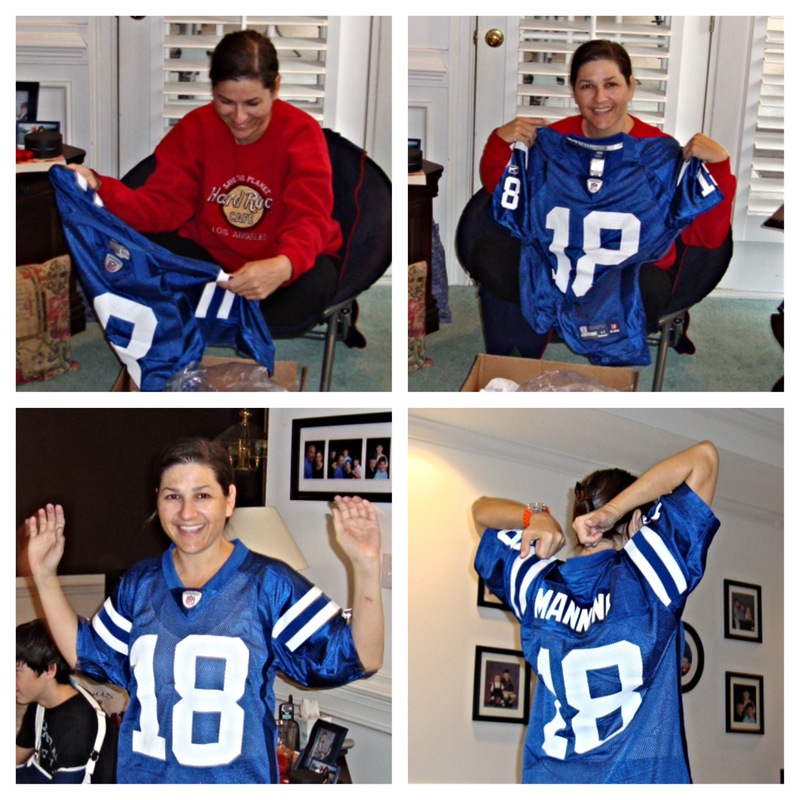 My boys know me so well that one of my favorite Christmas gifts… heck favorite gifts period, is one they gave me for Christmas in 2010, a Peyton Manning Indianapolis Colts jersey. I KNOW!!! I couldn’t even…I love it still! Naturally they bought it before Peyton got hurt and by the time Christmas rolled around he was out. Unfortunately he never played for Indianapolis again but thank goodness he was not done… he’s back and better than ever. They asked if I wanted a new Peyton Broncos jersey but I’m afraid it would cause him to get hurt again… cause I have that power and I have vowed to use my powers for good not evil! Anyway, I really hope you enjoy the Super Bowl and that your team wins… as long as your team is the Denver Broncos. OMAHA! OMAHA!